With another exciting year with Virginia Tech Athletics having started, I want to thank you, on behalf of our entire department, for your generous support of the Hokies during our 2017-2018 giving year! Through the generosity of Hokie Club members like yourself, this last year marked a record-breaking one for Hokies, both in the classroom and in competition. Additionally, gifts given to the Hokie Scholarship Fund reached an all-time high, and Hokie Club membership increased to over 16,000 as a part of our drive for 25,000 Hokie Club members. to enable them to excel in the classroom, in competition and in the community. Virginia Tech is continuing to achieve extraordinary accomplishments both at the university and within athletics, and the support from our alumni, students, and fans was on full display during our Drive for 25 Day on Sept. 25! Thanks to you, Hokie Nation, during our 25-hour fundraising event, we received gifts from more than 2,300 donors, totaling more than $870,000! Ongoing support from you is the single best way we can sustain our positive momentum toward our goal of being the best in the ACC. Our student-athletes, coaches and staff will continue to raise the bar, and we ask the same out of you, Hokie Nation! We appreciate your past support and the role you continue to play as a Hokie Club donor. Renewing your annual gift to the Hokie Scholarship Fund today is the single best way you can help us continue our positive momentum. I also would encourage you to invite any Hokies you know who have not given to please get in the game and make a gift to the Hokie Club. There is strength in numbers and we need your help! Thanks Again & Go Hokies! Receiving a scholarship to Virginia Tech makes all the hard work myself and my family have put into wrestling worth it. The best thing about being a student-athlete here is being able to study a challenging major while also competing for a wrestling program fighting for a National Championship. Mechanical Engineering | Parkersburg, W.Va.
Virginia Tech was one of only a few schools within the ACC and the Power Five conferences that does not participate in a “per-seat” priority seating program in order to raise annual scholarship funds. Virginia Tech is also one of the few schools nationally that has not raised its annual donor giving levels over a significant period of time. Therefore, annual scholarship fund donations have remained fairly flat, while the cost to provide scholarships has rapidly increased. Under the Hokie Scholarship Fund program, season tickets in both Lane Stadium and Virginia Tech Carilion Court at Cassell Coliseum will have an annual per-seat minimum gift requirement that varies based upon section or location. 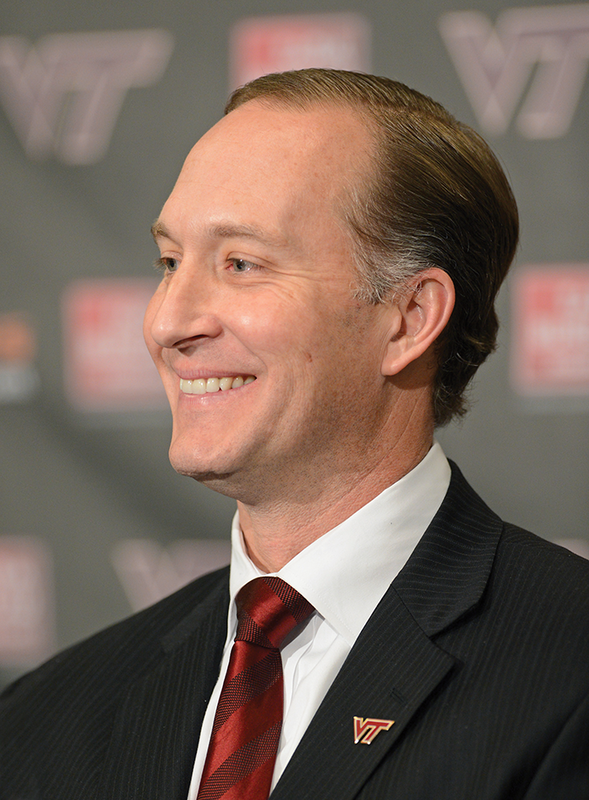 With approximately 75 percent of scholarship funding coming from priority seating for football and men’s basketball, the Hokie Scholarship Fund program will provide an invaluable resource for Tech Athletics. Both Lane Stadium and Virginia Tech Carilion Court at Cassell Coliseum will undergo reseatings for the 2020 seasons. The landscape of intercollegiate athletics has vastly changed over the past two decades, as has the financial investment required to achieve excellence and to win championships. As the cost of scholarships has continued to rise, so too have expenses such as equipment, travel, nutrition, student-athlete development, strength and conditioning, and recruiting. We must grow and enhance our Hokie Club membership to continue our positive momentum. There is strength in numbers: Building a championship culture starts with a strong commitment from our alumni and friends. NC State, Clemson and Florida State each have more than 20,000 athletic donors, which is significantly greater than Virginia Tech. Also, while ALL friends of Virginia Tech are encouraged to participate, it should be noted only 5.6% of living Virginia Tech alumni currently give back to athletics. You can personally make an impact and help us to be “strong together”! It is about our student-athletes; it is about competing at the highest levels. Thank you to all our Hokie Club members for your continued generosity. Your support is invaluable to the ongoing success of Virginia Tech Athletics. While it’s easy to measure the cost of room and board or tuition, it’s impossible to quantify the value of a Virginia Tech education. Thanks to you, our student-athletes will experience moments they’ll cherish forever as they learn invaluable life lessons about themselves, teamwork and their field of study. 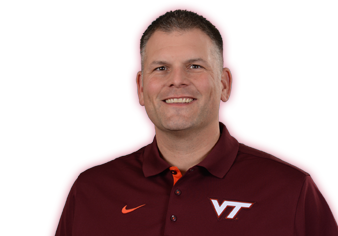 Justin Fuente | Head Coach Football. 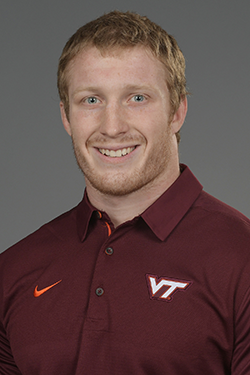 The Hokie Scholarship Fund program is designed to address the need for increased funding for annual scholarship support of Hokie student-athletes. All gifts given through this program will go directly to scholarship support. The overall program includes a priority seating and parking program, exclusive donor benefits, priority point system, and an improved benefit allocation process. With the goal of elevating Virginia Tech Athletics’ ability to compete for championships while better meeting the needs of our student-athletes, the Hokie Scholarship Fund program comes as the result of more than a year of extensive research and analysis that included data collection from donors/season ticket holders, ACC peer institution review, a focus group, a national review of Power Five Conference institutions and a comprehensive look at schools recently implementing major football and/or men’s basketball priority seating changes. Beginning in 2017, football and men’s basketball season ticket holders seated in designated “scholarship sections” throughout Lane Stadium and Cassell Coliseum will be asked to contribute a minimum per-seat scholarship gift each year to secure a priority location for season tickets for football and/or men’s basketball. Gift amounts will vary based on location within the stadium/coliseum. The Hokie Club is also introducing an easier to understand priority point program and annual giving benefits chart that will present donors with additional benefits based upon their giving level, including (but not limited to) parking, exclusive event invitations, and the ability to purchase postseason tickets. The Scholarship Seating Program officially launched in 2017. All donors who wish to be eligible for benefits are asked to make their gift to the Hokie Scholarship Fund by the March 31st giving deadline. Donors will then be ranked based upon their priority points for a complete reseating of Lane Stadium, which will occur in May of 2020. All donors who wish to be eligible for benefits related only to men’s basketball will be asked to make their gift by June 30th. Seating for season tickets in football and/or men’s basketball will be based upon your priority points and making (at least) the minimum gift annually for “scholarship seat” locations. Parking will be based upon your priority points and meeting the minimum giving level to be eligible for a donor’s desired zone for football. Priority points will be determined based upon the Hokie Club priority point system. Similar to previous years, season ticket and parking selections will take place during your assigned time slot using Ballena online selection technology. Donors who give at the top three scholarship fund giving levels (Hokie Stone, Hokie Scholar, Hokie Ambassador) will receive first priority for seating for single game, away game, miniplans, neutral site and postseason tickets for football, men’s basketball and women’s basketball with the Ambassadors receiving first priority, followed by the Scholars, and finally the Hokie Stone donors. The remaining tickets (if available) will be allocated throughout all other donor giving levels based upon donors’ priority point totals. All other benefits will be allocated first based upon donors’ annual Hokie Scholarship Fund giving level and secondly based upon their priority points. Please see the Benefits Chart above for detailed information. Hokie Scholarship Fund gifts received between April 1, 2018 and March 31, 2019 will apply toward 2019 deadlines and benefits detailed throughout this website. Scholarship Fund gifts received after the deadlines may still qualify to receive season ticket priority and opportunity to purchase parking based on availability, but will forfeit their seating and parking from the previous year. Annual giving levels that qualify for multiple parking passes may choose to group passes in a Zone B parking lot (spots will not be reserved). Example: an Ambassador can choose to select 4 passes in Zone B Lot 8, but the donor will then not be able to select any reserved spaces in Zone A. Note: Annual Hokie Scholarship Fund giving levels will also factor into parking selections and allocations. * Online Calculator is meant to be used as an estimate; specific donor account calculations will be made available in the upcoming months. The first points earned for consecutive years giving and tickets would be in a donor’s second year contributing or purchasing tickets. Donors will not have technically given or purchased in consecutive years until they have occurred in back-to-back years. The scholarships given by our donors are of vital importance to the way we go about running our program. They allow us to present opportunities to young men to help them improve their lives and become not just better basketball players but better people. We are extremely fortunate to be able to work with such a caring group of donors and are thankful for their passion for Virginia Tech Athletics. 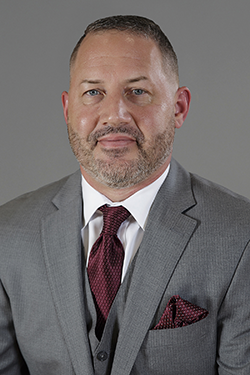 Buzz Williams | Head Coach Men’s Basketball.